The Child Food program provides after school snacks, hot supper meals, and summer breakfast to Youth, ages 5 to 18, at their Club sites in Knox County. The program also provides USDA boxed lunches to youth during the summer, as well as morning and afternoon snack. This program teaches youth how to develop healthy eating habits and increase physical activity so that they may live healthy lifestyles, therefore decreasing their risk for obesity or other health conditions related to physical inactivity and poor eating habits. The Lifeskills program serves 1,200 Knox County middle and high school students. Middle and High School students will be served across our 12 Knox County Club sites, where program components such as Be Great: Graduate (Academic Mentoring Program), CareerLaunch, and Keystone and Torch Club (service Clubs) will be offered, while high school students at six KCS High Schools will be served through our Talent Search and Pipeline program components. Overall, the Life Skills Program prepares middle and high school students with the skills needed to succeed beyond high school as they progress into adulthood, enabling them to become productive, caring citizens. The “Prevention” Program works to ensure the physical and emotional safety of Knox County youth through providing a comprehensive Social and Emotional Wellness Initiative, bullying prevention programs, and cyber and social media safety programs. It also includes key prevention programs to deter youth from getting involved in negative behaviors and give them the skills needed and opportunities for positive choices for a healthy lifestyle. The Project Learn program serves 3,750 students in grades K-12 across our 12 Knox County Club locations. Project Learn Program components include homework help, tutoring, educational enrichment through high yield learning activities, collaboration with schools, and parent involvement. Boys & Girls Clubs of the Tennessee Valley also engages youth in an array of STEM (Science, Technology, Engineering and Math) programs through our CLUB STEM Program and works to prevent summer learning loss through our Brain Gain: Summer Learning Initiative, with these two programs working in conjunction with the key Project Learn components to provide a strong foundation for academic success for all Club youth served. 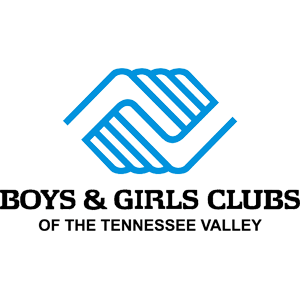 Boys & Girls Clubs of the Tennessee Valley’s YouthForce serves 100 high school students annually who come from six target Knox County High Schools. Headquartered at the Club’s Regal Teen Center in inner-city Knoxville, YouthForce participant’s first complete YouthForce University workshops to teach soft skills, followed by 60 hour paid “Job Ready Internships”. “Career Ready” paid internships, technical training camps for high-wage occupations and career paths, and guidance on post-secondary education and career opportunities are also key program components, when combined, enable participants to become first job ready, develop a plan for the future, and develop skills that employers value the most. Research documents that child care assistance is an essential work support program for low-income working families, evidence demonstrates that scholarships and child care subsidies are associated with sustainable employment for parents and improve child outcomes. Our Scholarship Program have been designed according to best practices to meet the needs of low-income working families who need affordable child care. With nearly $2 million awarded in scholarships granted by our Club annually, we are requesting $60,000 to help cover expenses with the short-term scholarships for 150 youth (who are waiting to be approved for Families First and child care vouchers) and $80,000 for the long-term scholarships for 40 youth who come from families with need for affordable child care for an entire year so they may continue to work and build long-term financial stability for their families.